חברת nVidia, מובילת שוק הכרטיסים הגרפיים בשנים האחרונות, חשפה את ההימור הבא שלה בכל הקשור לעיבוד גרפי, ה-GTX 690. הכרטיס החדש ממשפחת Ge-Force נחשף במסגרת כנס גיימרים בשנגחאי, וצפוי להציע שיפורי ביצועים מרשימים, בתמורה ל-999 דולרים. The Global Performance Cache, group of time-saving technologies consisting of a global RAM cache, a persistent disk cache, and a new graphics pipeline (along with the Cache Work Area In Background command), is considered the best new feature of After Effects CS6. The explanation by Chris and Trish Meyer in After Effects CS6 (P)Review is the most informative text on this feature cluster to date. In this short video, I’ll give you a few tips on increasing your performance in Premiere Pro CS6 with the latest 2012 technology from Intel SSD’s , XEON ES Processors, and NVIDIA’s TESLA 2050 boards as well as the new HP Z820 dual 8 Core processors for 32 Threads of raw power. The 3-way color corrector gets a lot more powerful and easier to use in Adobe Premiere Pro CS6. It’s a workaround, but it came up as a question on Twitter (via Frank) and I wanted to try to make it work. Aside from the exciting changes in Premiere and After Effects, the biggest news to me was the inclusion of Speedgrade into the production suite and their product lineup. This once $15000 dollar grading platform is now within the reach of pretty much anyone with Adobe’s new monthly subscription service. My opinion is that while 8 bit, 422 can be used for S-Log, it is not something I would recommend. I’d rather use a cinegamma with 8 bit recording. 10 bit 422 S-log is another matter altogether, this is well worth using and works very well indeed. It’s not so much whether you use 444, 422 or maybe even 420, but the number of bits that you use to record your output. אז למי שלא שם לב.. חברת black magic, כן, ההם מכרטיסי הוידאו החליטה השנה להפתיע והציגה בתערוכה השנתית בוגאס, לצד שאר מוצרי הוידאו שלה, מצלמה. 13 Products You Wish You Had In Your Video Editing Suite: If money wasn't an issue, THESE are the products we'd want in our dream video editing suite! From high-end computers to visual effects and editing accessories, we've rounded up the best products in the video business. 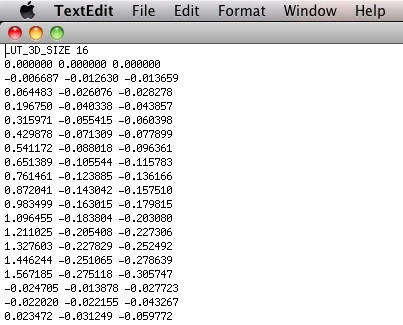 We're pleased to announce the availability of Video Space Calculator for Mac. 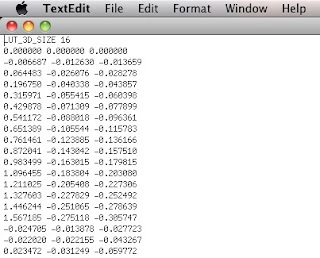 This useful tool allows you to work out how much space a particular codec will take up on disk, or alternatively how many hours of a particular codec will fit within a given space. It supports a wide range of codecs including ARRIRAW, AVCHD, Cineform, DNxHD, Phantom, ProRes and REDCODE. A full list of supported codecs is available in the Mac App Store description. While we were bringing NAB to you with our extensive video coverage of the expo, editor Shane Ross was shooting interviews of his own with a focus on editing and post. His special report from NAB is engaging, informative…and funny. And he’s wearing a Della Luce shirt! Watch below. It seemed like a good idea to sign off our NAB 2012 coverage with a mention of the big splash, a major new release, something exciting – but although the exhibition seemed refreshingly, almost comfortingly replete with new stuff, it’s actually quite hard to pick out a shining example. Storage, asset management and archive. Where does it all go? I’m guessing most people who know me or read Wide Open Camera’s blog were expecting that I would make a post on high-speed for me next entry. That will come at a later time but today’s post is on something fairly important that most of us don’t take seriously until its too late. What do I do with all my data? Clearly videotape is dead to 95% of the market if not more and file based workflows are where we have been for the past 5 years and into the future. So where do we put all that data? We used to pop a tape or film-stock masters on the shelf (ideally in a climate controlled vault) and knew that a decade later we could pull footage and have confidence that our art (or crap) was safe. That is not the case anymore. Light Illusion announces significant enhancements to its range of colour management systems, both hardware and software, providing advanced colour control capabilities for all colour critical workflows, from film lab operations, through digital intermediate grading, to final delivery and distribution. One of the new possibilities Adobe is launching is Creative Cloud, a subscription based service that lets you rent your software for a monthly fee. Pricing for Creative Cloud membership for individuals is US$49.99 per month based on annual membership and US$74.99 per month for month-to-month membership for the whole CS6 package. Andy Beach Interview: Format Conversion For File-Based Workflows: Andy Beach, video compression guru, explains essential tools and techniques that are needed to produce quality transcodes and how the latest technologies can simplify some of the frame mechanics issues that would normally cause transcodes to fail. For those not in Vegas we had a great day today and a chance to demo our Resolve v9. Here are some highlights. I remembered encountering this a few times a while ago, but couldn’t remember it happening any time recently. After brainstorming on it for a few minutes, it suddenly hit me why I hadn’t seen that problem in forever, and also a good, quick workaround for the issue! Just about the time you have settled into your favorite 1080P camera and think all is well in the world... you look up and discover that 1080P is an obsolete format. Seemingly overnight (if you haven't really been paying attention). 4K (or greater) acquisition and 4K delivery are here. Up-rezzing 5 times is really not a good option. NAB 2012 – Adobe CS6, Smoke 2013, Thunderbolt and more: Get some coffee, sit back and take your time reading this post. I apologize for its length in advance, but there’s a lot of new hardware and software to talk about. I’m going to cover my impressions of NAB along with some “first looks” at Adobe Creative Suite 6, Smoke 2013 and Thunderbolt i/o devices. Alex talks with Jeff Krueger from StorageDNA about their very cool backup and instant dailies solution that was battle tested on James Cameron’s recent 7 mile dive to the bottom of the Pacific. Cool tech! With the advent of the Adobe Creative Suite 6 Production Premium, announced last week and on display at this week's National Association of Broadcasters' show (NAB), the company has introduced Prelude as a complementary product. Prelude is intended to lead into the greater compositional efforts of Adobe Premiere Pro and Adobe After Effects, but it turns out to be an ingest-logging-transcoding tool that also doubles as a rough-cut editor. For all the NAB announcements, headlines, press releases and highlights check out these round ups from the blogosphere. SGO presents Mistika Insight which is provided to educational operations to enable students to learn use Mistika through direct hands-on experience with a free software-only training version complete with all Mistika tools & creative capabilities. This has been exciting year at NAB with some "game changing" announcements. I hope to provide for you a round up on this years exciting products. Apple to bring a big Final Cut Pro X update: multichannel audio, RED support, more! Apple to bring a big Final Cut Pro X update: multichannel audio, RED support, more! : Larry Jordan revealed that Apple has promised to release a big Final Cut Pro X update that will bring many new and noteworthy features to the suite! According to TUAW, by the end of the year, FCPX will support multichannel audio editing, dual viewers (so users could see two clips playing at the same time, perhaps to compare various sources), plug-in support for the MXF file format, and native support for files from RED cameras. Sound good? As some of my colleagues at ProVideo Coalition magazine have already reported, at NAB 2012, Blackmagic announced its first digital motion picture camera, officially known as the Blackmagic Cinema Camera. For US$2999, Blackmagic gives you the camera, a license of DaVinci Resolve (US$995 value) and a license of UltraScope (US$695 value). Supply your own Canon EF or Zeiss ZE lens and recording media. I applaud Blackmagic for making one of the two best possible decisions regarding the formatting used on the removable SSDs (solid state drives), and for using standard códecs/file formats. Unlike what many traditional photo and video camera manufacturers have chosen to implement (the weak FAT32), Blackmagic chose to use HFS+ (aka HFS Plus or Mac OS Extended). In this first look, I’ll review the differences and advantages of either HFS+ or UDF over FAT32, and point out some other details, i.e. the audio connections and file formats. If you’re a video editing geek like me, then it doesn’t get any better than the upcoming release of of Adobe Premiere Pro CS6. Sure, there’s the expected updates and improvements that we’re all looking forward to – like the great new sleek, highly intuitive and customizable user interface with a redesigned monitor panel, customized button bars and a new audio track design, improved meters and revamped mixer panel – but what really gets my heart racing is the newly enhanced Adobe Mercury Playback Engine that incorporates OpenCL™ heterogeneous compute for the very first time on a number of Apple® MacBook Pro laptops with AMD Radeon™ graphics. FotoKem's File-based Dailies Software Offers Unparalleled Functionality in Post Production Pipelines: (Las Vegas: NAB 2012--April 17, 2012) FotoKem has unveiled the newest version of its nextLAB software and on-set system. Designed and developed in house by FotoKem's software development team, nextLAB v3.0 can manage digital camera files and metadata, supporting ARRI Alexa and Sony F65 in their native raw formats, RED Epic and Scarlet, Silicon Imaging, and the Canon DSLRs and EOS lines. nextLAB v3.0 also incorporates the Academy Color Encoding Specifications (ACES) architecture, an increasingly important capability for filmmakers. The development of nextLAB and its ongoing advancements are products of the company's technology teams, backed by five decades of experience in the post production industry. Additionally, FotoKem's nextLAB LIVE is an application that supports on-set color correction directly from digital camera feeds in real time. 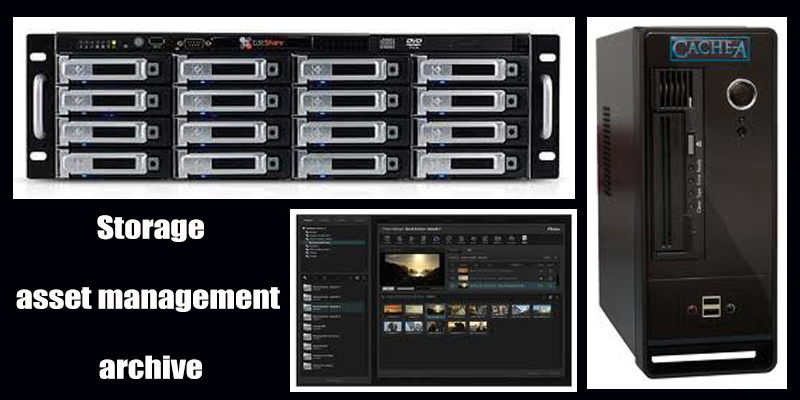 MTI Film Unveils Onset Data Management for Less Than $100: (Las Vegas: NAB 2012--April 17, 2012) MTI Film has unveiled its new on location image and data management tool, Cortex::Capture at NAB Show 2012. This simple and powerful application includes all the functionality needed by DITs and data wranglers with a price tag of only $95. Cortex::Capture provides onset playback of a dozen common camera formats, including Sony SRMaster and F65, RED, ARRIRAW, DNxHD and ProRes. It includes tools for maintaining color decisions by importing and setting looks that can be exported as stills, ASC CDLs and LUTs. Its project management features include commenting on frame or clips and creating templates with color, audio and burn-in options for use in dailies and throughout the post-production process. All metadata, including color, generated in Capture can be exported and shared with other Cortex products at the post facility, saving time and ensuring consistency. Studio Network Solutions Announces Evo v4 Shared Storage System at NAB 2012: New features include bin sharing, unlimited SAN/NAS client licensing, file/folder locking (Las Vegas: NAB 2012--April 17, 2012) Studio Network Solutions (SNS), a premier provider of post-production storage products for video and audio workgroups, today announced a major OS update to its popular Evo SAN + NAS shared storage server. output through SDI and HDMI connections. Blackmagic Design today announced Desktop Video 9.5 software update that adds support for the upcoming release of Adobe® Premiere® Pro CS6 video software using Blackmagic Design’s DeckLink, UltraStudio and Intensity capture and playback products on both Mac OS X and Windows 7. Desktop Video 9.5 for Windows 7 also includes a new WDM driver that lets customers use Blackmagic Design products with an enormous range of Windows video software. and a workflow optimized for speed. NVIDIA Partners Make Ultra-Low Latency a Reality with NVIDIA GPUDirect for Video: (Las Vegas: NAB 2012--April 17, 2012) NVIDIA and industry leading I/O board partners such as AJA, Blackmagic Design, Bluefish444, Deltacast, DVS, and Matrox are providing unprecedented real time video production capabilities leveraging NVIDIA® GPUDirect™ for Video. The technology provides application developers and their customers seamless, fast accessibility of the graphics and image processing power of NVIDIA Quadro® and Tesla™ professional graphics processing units (GPUs), with ultra-low latency input and output across a wide range of I/O devices. NVIDIA GPUDirect for Video technology is the fastest, most deterministic way to get video data in and out of the GPU. Software vendors are now capable of harnessing the graphics and image processing power of GPUs without the latency, often as many as ten frames, previously associated with 3rd party video I/O boards. With this wide range of I/O vendors, customers can choose the best system for meeting their needs. Aspera Unveils New Aspera Shares Web Application at NAB: Breakthrough Multi-node File Sharing Web Application Enables High-speed, Secure Data Sharing and Exchange over Public, Private, and Hybrid Cloud Infrastructure (Las Vegas: NAB 2012 Booth SL10315--April 17, 2012) At the NAB Show, Aspera Inc., creator of next-generation technologies that move the world’s data at maximum speed, is introducing Aspera Shares, a breakthrough new web application that provides a simple and intuitive way for companies to share content in the form of files and directories, of any size, within their organization or with external customers and partners. built in high bandwidth SSD recorder, and open file format support. Colorfront And CinePostproduction Launch New COPRA Viewing App For iPad At NAB 2012: COPRA App redefines ease and convenience of interaction with dailies (Las Vegas: NAB 2012--April 17, 2012) Academy Award-winning developer Colorfront and German software developer CinePostproduction today announced COPRA, a free-of-charge iPad App that brings new levels of ease and convenience for film and television professionals to interact with dailies footage during production. Colorfront Launches Transkoder Engine At NAB 2012: New workflow workhorse fits straight into existing facility architecture (Las Vegas: NAB 2012--April 17, 2012) – Academy Award-winning developer Colorfront has launched a new product line that automates fast, high-quality digital file conversion for studios and VFX facilities involved in motion picture and high-end TV production. The standalone Transkoder Engine is based on Colorfront’s award-winning On-Set Dailies architecture and uses cost-effective, commodity hardware, to deliver faster-than-realtime processing to transcode, decode, convert and process files for multiple deliverables. New advanced project sharing with Adobe CS6, bigger drives, faster connectivity and high-performance mobile-shared storage top the list of new EditShare collaborative storage features shown at NAB 2012 (Las Vegas: NAB 2012--April 16, 2012) EditShare®, the technology leader in shared media storage and end-to-end tapeless workflow solutions, today unveiled new EditShare Shared Storage capabilities and systems at NAB 2012 (booth SL9012). “Just about every aspect of our storage has been enhanced,” says Andy Liebman, founder and CEO, EditShare, “from a new small form factor Atom™ storage system to project sharing with Adobe CS6, new cost-effective enterprise solid state drives (SSDs) that offer astronomical stream counts and 10 Gigabit connectivity options that promise to make 10 Gigabit Ethernet as ubiquitous as Wi-Fi. Lightworks Technology Previews at NAB 2012: 64-bit Lightworks and Lightworks for Linux: EditShare will be showing technology previews of a 64-bit version of Lightworks and Lightworks running on Linux (Las Vegas: NAB 2012--April 16, 2012) Lightworks is taking the editing community by storm, with over a quarter of a million downloads since the Lightworks Beta program was announced. With the full Windows release of Lightworks due on the 28th of May, EditShare has chosen NAB 2012 to reveal for the first time that it is working on a 64-bit version of Lightworks and a Linux version of this lightning-fast editing system. Working technology previews will be shown to NAB visitors. Trigger controls and shortcuts for Photoshop, Illustrator, InDesign, Media Composer, Maya, 3DS Max and more. "Obsolescence Obsolete" -- that's RED's tagline for the just-announced Dragon sensor upgrade, which is set to bring 6K resolution to EPIC and Scarlet cameras beginning later this year. The sensor module was on display at the company's NAB booth today, under a backlit case that could only have been designed to make photographing the new chip a near-impossible task. We did manage to snag a few frames of the device, which appears as a mere silhouette to the naked eye. Sensors aren't designed for us to look at, however -- they're supposed to do the looking -- so we won't get any more hung up on the presentation. Existing RED camera owners can look forward to an incredibly impressive 15+ stops of native dynamic range and up to 120 frames-per-second at resolutions up to 5K. And as we discovered earlier today, the upgrade will roll out to EPIC owners sometime in 2012 for $6,000 while Scarlet users will need to hang tight for a release date, and a price tag. That's all we've got as far as details go, so click on through the gallery below for a flashlight-enhanced peek at the Dragon. There's no better way to control the visual experience from shoot to show than to create the camera and the projector. That's likely the thinking behind the REDray, the 4K laser cinema projector making an appearance at the company's NAB booth today. The device supports 2D and passive 3D (up to 120fps in 3D mode), with 4K projection for each eye and has a rated laser life of over 25,000 hours. Convert Final Cut Pro X XML to a CMX 3600 EDL With EDL-X, by XMiL Workflow Tools: (Los Angeles, California--April 16, 2012) XMiL Workflow Tools today announced it is actively developing EDL-X, an application that will generate industry-standard EDLs (edit decision lists) based on XML information from Final Cut Pro X. The EDLs will be formatted to comply with CMX 3600, a standard widely used in post-production to supply timecode information. "XMiL Workflow Tools is dedicated to developing solutions that simplify postproduction workflows,” said Rainer Standke, Principal at XMiL Workflow Tools. Silicon Imaging, the recipient of this year’s International 3D Society Technology Award, announces the patent-pending SI-3D Stereo Monitoring, Analysis, Recording and Transmission (S.M.A.R.T) system. SMART captures images from RAW or HD-SDI sources, such as RED, ARRI, Sony, Panasonic, Canon, P+S and Silicon Imaging SI-2K to perform stereo analysis, image correction, 3D LUT color processing and recording, all in a single portable platform under wireless control via Apple iPad. Showcases TerraBlock 5.5 enabling end-to-end workflows; Previews new solid state drive technology (Las Vegas: NAB 2012--April 16, 2012) At NAB 2012, South Lower Hall #9019, Facilis Technology will exhibit its latest developments in shared storage solutions for post-production and content creation. The company will showcase TerraBlock 5.5, with the Facilis Shared File System for Mac, Windows and now Linux, which serves as the backbone of end-to-end post production workflows, and also preview solid state drive (SSD) technology currently in development. Enhance Technology, a leading developer of professional storage solutions for digital content creation, announces the release of UltraShare™ NS, a powerful network storage platform that offers both file and block-level storage capabilities in one system. UltraShare™ NS Series, a new breed of performance-driven unified network storage solutions for collaborative Mac, Windows and Linux workgroups. UltraStor NS features a dual, mirrored 64-bit embedded environment for Enterprise-class, fail-safe system reliability and uninterrupted media availability. UltraShare™ offers industry leading features such as device-to-device data replication, volume encryption, snapshots, high availability (HA) clustering and powerful built-in backup services. UltraShare™ NS is the ideal network storage solution for distributed computing environments, file sharing, broadcasting, video surveillance, disk based backup and cloud storage applications. Marquise Technologies and NextComputing, manufacturers of high-performance portable and small form-factor workstations and servers, have announced a joint solution for the ingest, grading and delivery of digital film dailies on-set and near-set. Marquise Technologies M I S T (Media Ingest Stream Transcode) software, when driven by NextComputing's portable workstation computers, provides a complete solution for the creation, distribution, and viewing of dailies from any of the myriad of digital camera formats in today's cinema productions, while on location. Promising to "break down the walls" for content creators, Avid today introduced Interplay Sphere, which it said will allow editors to work in real time from any Internet-connected location. The system uses cloud-based architecture and an intelligent uploading scheme to allow Media Composer and NewsCutter to work on footage remotely — and to upload new footage back to the base while the editor is working. Blackmagic Design announces DaVinci Resolve 9, a major new software update with a completely overhauled user interface for an extremely elegant and modern look, while optimizing the workflow for speed. DaVinci Resolve 9 will be available in July as a free of charge update for all Blackmagic Design DaVinci Resolve customers. ASSIMILATE announces support for AMD Radeon HD 5770 and 5870 graphics cards on the MacOS X versions of SCRATCH and SCRATCH Lab. AMD Radeon Graphics join NVidia Quadro graphics and AJA Kona SDI to form an extremely flexible line-up of powerful GPU and video-playback solutions for SCRATCH and Lab on MacOS X.
Qube Cinema Brings Uncompressed 4K Projection to NAB: Qube Cinema introduced the new Quad 3G interface for digital cinema projectors at NAB. The Quad 3G interface allows for integrated postproduction and digital cinema mastering workflows. Facilities can use one projector setup for both HD-4K uncompressed color grading and 2K-4K digital cinema playback providing a comprehensive review and quality control system. Divergent Media releases ScopeBox 3.0.1. This release contains a variety of minor bugfixes and enhancements and is encouraged for all ScopeBox users. High-end camera company RED has announced the next generation of its modular system, the Dragon sensor upgrade for EPIC and Scarlet cameras, complete with the superlative specs we’re used to from the firm. Dragon will be offered as a $6,000 upgrade for the EPIC, with 6K resolution and 15+ stops native Dynamic Range. It’ll also record 120fps Full 5K video footage. new Pablo is a software high-end color and finishing system that runs on standard COTS (Commercial Off The Shelf) hardware. Neo Nano is a compact color panel, ideal for applications outside the main suite. In the studio we have been working exclusively with Adobe Premiere for a year now, and haven’t looked back. The ability to natively edit video formats and dynamically link between different applications has made our workflow much smoother as we shoot a variety of different formats, from the H.264 to R3D codec. Last week, Adobe announced CS6. We have been fortunate enough to play with betas of Premiere and After Effects for CS6 for the past couple months, and in the above video – Jon Carr outlines some of our favorite features of the new Premiere Pro and After Effects. CS6 Production Premium applications also includes After Effects, Audition, Bridge, Encore, Flash Professional, Illustrator, Media Encoder, Photoshop Professional, and two new applications: Prelude and Speedgrade. Piranha 7 is a complete editing and finishing system for Linux and MacOsx. Using the Power of GPU to deliver great performance and interactive artistic freedom. Piranha 7 can mix content with different resolutions and bit depths up to 8k 16bit/channel. Canon הודיעה בתערוכת NAB שהיא מפתחת מסך 30 אינץ באיכות של 4k לתעשיית הוידאו הקולנוע. Adobe Premiere Pro CS6 has lots of new and enhanced features in many areas of the program, from importing and exporting to editing and audio. In this free course, Adobe Technical Support Lead Todd Kopriva walks you through all of them, including dynamic trimming, the new Warp Stabilizer and Rolling Shutter Repair effects, and improvements to Dynamic Link, multicamera editing, and the Three-Way Color Corrector. You’ll also learn about changes to performance and the user interface, and how these can affect your workflow. SpeedGrade CS6 brings advanced color grading capabilities to Adobe Production Premium, the Creative Suite edition production professionals rely on to get great results efficiently. Offering best-in-class applications for editing, motion design, compositing, and audio, this comprehensive post-production hub now offers professional color grading to a new generation of artists and filmmakers. New Software Plug-In Adds Avid Interplay Connectivity to Upcoming Release Adobe Creative Suite 6 Software. Another App To Join FCPX, Motion, And Compressor? Is it possible we will see another application join Final Cut Pro X, Motion, and Compressor? While Larry Jordan was at a meeting with Apple recently about the future development of FCPX, Apple hinted at the possibility of another app joining Final Cut X, Motion, and Compressor. All my videos are still available through the Smoke Learning Blog but stay tuned for new videos to come soon. Avid |News Room: "Avid® (NASDAQ: AVID) today announced the release of three advanced server and storage products that together offer more cost-effective access, greater flexibility, increased storage capacity, and better workflow integration than any other offerings in the market. The next-generation AirSpeed® 5000 video server, new Avid ISIS® 2000 near-line storage solution, and Avid ISIS 7000 v4.0, all significantly extend ingest, production, and playback speed and capacity, helping a range of media producers efficiently meet rising production demands. " Avid |News Room: "Avid® (NASDAQ: AVID) today announced the largest showcase of integrated media production technology the company has ever presented at NAB. Avid is featuring completely new and upgraded solutions for advanced asset-based workflows spanning distributed production, multi-platform distribution, server and storage, and broadcast graphics, demonstrating how customers in news, sports, TV, and post-production can prepare for the demands of the future." Vizrt Launches Viz Media Engine with Adobe Premiere Pro CS6 Integration: (Bergen, Norway--April 13, 2012) Vizrt Ltd., a leading provider of content production tools for the digital media industry, announces the latest integration of the Viz Media Engine with the upcoming release of Adobe® Premiere®Pro CS6 software. This new integration gives editors more efficient productivity by allowing them to search and select source material from Viz Media Engine within Adobe Premiere Pro CS6. Selected source material is dragged onto the timeline and media is directly available without a time-consuming file-transfer. The finished product can then be rendered and exported to the Viz Media Engine through a dialogue where in metadata can be added to the material. After more than 15 years in digital cinema industry, the company’s founders find that digital intermediate and other post-production tasks are still each done with a specific tool with no link between the stages and tasks. NAB 2012 is just around the corner and it seems the buzz this year is going to be 4K. Last year it was 3D, and this year it’s 4K. RED has been there for a while and Jim Jannard has been calling 1080P a “mistake” for years. Now Sony and Canon are jumping on board and others are sure to get into it too. So then does this mean that 4K is the future, or in fact if the cameras are here now – is it the present? The answer to both questions is yes! And also no. Dolby Professional Reference Monitor Increases High-Frame-Rate Support: Dolby Laboratories announced that the Dolby Professional Reference Monitor has added support for content shot at a rate of 48 frames per second (fps). It already supports 60 fps, and expanded support for 48 fps is part of a set of new features that includes support for the AMPAS ACES workflow, which is required by studios for mastering feature films, and Image Systems Nucoda 3D LUT support to help with the color-managed workflow. The software update with new features is planned to be available beginning next week. Fusion-io has announced their latest ioMemory storage accelerator; this time with eyes on the workstation market. The Fusion ioFX is designed to give video editors, video effects professionals, programmers and the like a powerful storage solution that can keep pace with today's high-throughput processors and GPUs. The Fusion ioFX has been in development for some time, an early iteration was used in the Oscar Award winning Hugo, which won for best visual effects. Fusion-io hopes to bring the solution not just to major video effects houses though, but to workstation users globally who don't want their productivity held back by storage. Imagine delivering an approval video that your client can annotate in specific areas. If you have an iPhone or iPad, imagine no more. I saw the demo for Scribbeo at the San Francisco Supermeet. It reminded me of the very popular Skitch but seemed more tailored for video. Discover how to efficiently archive your After Effects project files! Learn how to consolidate files, organize media and create a master folder for all of your AE projects. Using iMacs to replace Desktop Workstations. A consideration. If you’ve been following along the past few months, you know we’re testing a very nice Dell Workstation as we plan the immediate future of our company and what computers might replace all the Mac Pros we currently run. Since we’re an Adobe / Avid centric shop now, the Dell shows us how we might work in a cross platform world. Front Porch Digital, the leader in solutions to migrate, manage, and market media content, today announced LYNXdr, a secure, cloud-based, disaster recovery (DR) and long-term asset storage service for the media marketplace, from broadcast to government. LYNXdr is the first commercially available product from the company's LYNXsm cloud-based content storage management (CSM) initiative announced last fall -- the first of its kind in the industry, and the first to integrate cloud-based online video publishing (OVP). Granted, I can’t remember a time when our industry wasn’t hell bent on faster, better, cheaper, but this is the first I can recall such a willful disregard of tried and tested gear, pipelines and people. Since the advent of high-end digital cameras, we’ve all been so wooed and mesmerized by the look and quality of the RED, Sony F35, and ALEXA cameras, but managing the data, processing it and coloring it has been a struggle ever since. Cinematographer John Brawley made a test video of the dynamic range between Alexa, RED MX and Super 16 cameras. All three cameras are used on high-end productions. Here's a quick Pre-NAB news flash: get ready for more from the boys and girls at Convergent Design. Mark Spencer and Steve Martin are joined by Alexis Van Hurkman for an hour and a half on the world of colour grading, largely on DaVinci Resolve, but other applications too. Which control surface to use, what monitor to choose and various tips, techniques and insights into what its like to work as a professional colorist. Here’s a handy little tip for viewing and previewing Avid Media Composer .MXF files outside of Media Composer itself. It came up via Twitter recently and it’s one of those little tips that I can’t believe I didn’t know before now. It’s mainly for those moments when you wonder … “what’s in the file that is called OS020705A01.CBA36E04F7E03DB.mxf?” Is a human really supposed to be able to read those things? New support for broadcast integration, digital camera masters, Thunderbolt PCIe expansion devices (Irvine, California--April 10, 2012) StorageDNA, Inc. today announced the version 2.0 release of its flagship workflow product, DNA Evolution™ for LTFS LTO-5 archive and retrieval. In response to feedback from their customers, the company is now making available significant feature enhancements for improved media asset management, broadcast integration, digital camera masters and Thunderbolt™ support for PCIe expansion devices. DNA Evolution 2.0 will be available in the second quarter of 2012 and a free upgrade for existing customers with a support contract. industry towards open, interoperable, cost-effective systems. The group believes that there has been a recent shift in the broadcast industry from proprietary and closed hardware platforms to more open, generic, often software or IT based systems. The shift may be due to a more frequent need to deliver to new channels and devices, increased interactions between audiences and content creators, and the need generally to be able to respond faster and more effectively to these changes. Shotgun and Tweak Reinvent Review with Revolver: Revolver provides modern digital studios with a powerful new way to review, iterate, and collaborate on work at any time, from any location, on any device. (Venice, California--April 11, 2012) Shotgun announced it has teamed up with Tweak on a new product called Revolver that provides digital studios with an all-in-one review toolset. Revolver combines production tracking and review, making it easy for teams in any location to view their latest work in context of the cut, browse and compare iterations, annotate on images, write notes, and collaborate on work in real-time. XDT announces Version 4 of its Catapult Server at NAB 2012: XDTís highly efficient WAN and LAN transfer technology now starting at US$1,995, providing networked transfers at up to Gigabit speeds. (Melbourne, Australia--April 11, 2012) XDT Pty Ltd announces that version 4 of its Catapult Server product will be available at NAB 2012 (SU10729). This latest update includes new powerful syncing options, custom transfer filters and notifications. DFT Digital Film Technology & 1o1Media Introduce Premium Dailies Solution for under $3K: (Weiterstadt, Germany--April 12, 2012) DFT Digital Film Technology, provider of high-end film and digital post production solutions that preserve, manage, and deliver your pictures, and cloud-based video platform provider, 1o1Media have integrated their solutions to provide the production and post production marketplace with an attractively priced end-to-end Dailies solution. This new collaboration, “FLEXXITY + 1o1™” is a software application that optimizes a fully end-to-end finished dailies solution with secure online content management and distribution. Avid Offers Unprecedented Limited-Time Symphony 6 Crossgrade Promotion: Media Composer and Final Cut Pro users can save over 80% on Symphony, enabling accelerated storytelling with a suite of professional editing, color correction, and mastering tools (Burlington, Massachusetts--April 12, 2012) Avid® (NASDAQ: AVID) today announced an unprecedented, limited-time offer for its Symphony® 6 video editing and finishing software to all qualified Avid and Final Cut Pro customers at the special price of only $999 (USD). This offer is designed to provide a way for Final Cut Pro, Avid Media Composer®, Avid Xpress Pro, and Avid Xpress DV users to crossgrade or upgrade to Avid’s industry-leading professional editing, color correction, and mastering solution at a significantly reduced cost. Aspera and Universal Pictures Collaborate on Post-Production Technology: Aspera faspex™ Enables Fast, Secure and Seamless File-based Media Production Workflow Across the Globe (Emeryville, California--April 12, 2012) Aspera, Inc., creators of next-generation software technologies that move the world’s data at maximum speed, today announced that Universal Pictures has deployed the Aspera faspex™ solution to send, receive and share large media files internationally between production facilities and post-production houses. Aspera’s flagship person-to-person and project-based file exchange solution has significantly reduced production cycle times while meeting stringent security requirements and ensuring high levels of flexibility in their workflows. Canon announces a new digital cinema camera - supporting 4K video capture! Canon announces a new digital cinema camera - supporting 4K video capture! : Canon is working on a new camera - but this time the company drops HD resolutions and decided to bring a 4K camera to the market! It will be compatible with PL and EF mounts and should be in many aspects similar to the popular and highly-acclaimed C300, but of course with one big advantage over it - 4096x2160 pixel resolution! Premiere Pro CS6 is on its way, and we are now revealing all of the new and changed features in Premiere Pro CS6 and other professional video and audio applications in Creative Suite 6 Production Premium, including Adobe Prelude and SpeedGrade. Go here for details. Information on pricing and availability is not yet available, but stay tuned here for updates.